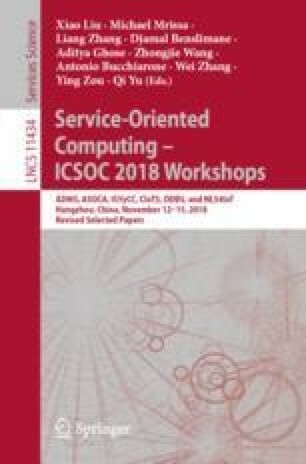 Although IoT service and service composition provide effective means to develop IoT applications, the dynamic and time-varying correlation among massive sensors rises up new challenges to the traditional model-based approaches, and the extra uncertainty and complexity of service composition become apparent. This paper proposes a data-driven service composition method based on our previous proactive data service model. We utilize real-time correlation analysis of sensor data to refine model-based service composition at runtime. The correlation among sensor data is usually asynchronous. In this paper, we adopt and improve a Dynamic Time Warping (DTW) algorithm to obtain one-way lag-correlation, and realize dynamic sensor data correlation through refining existing service composition. Based on the real sensor data set in a coal-fired power plant, a series of experiments demonstrate the effectiveness of our service composition method.